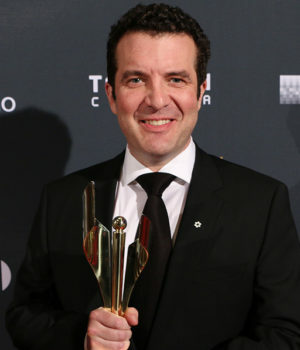 Rick Mercer at the 2015 Canadian Screen Awards. Photo © 2015 by Ralph Lucas. Used with permission. (October 3, 2015 – Toronto, ON) The union representing Canada’s professional performers working in the English-language, The Alliance of Canadian Cinema, Television and Radio Artists (ACTRA) has announced the recipients of their highly coveted John Drainie Award for 2016. This year, three performers will be honoured in recognition of their contributions to Canadian broadcasting. 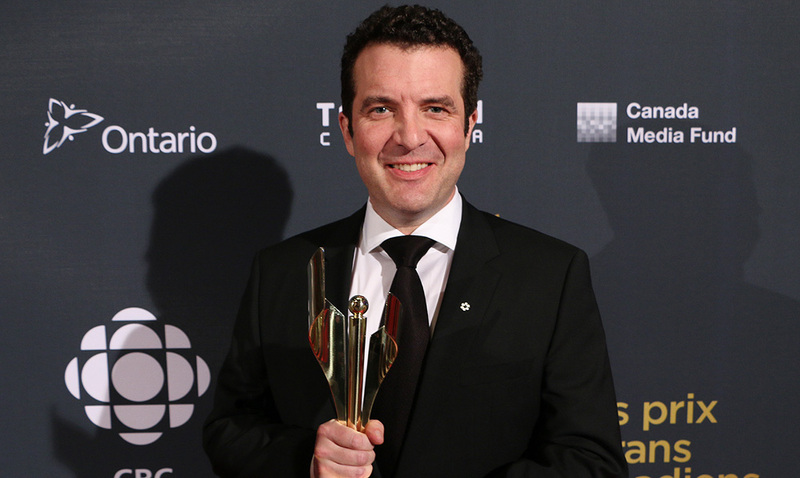 Ann-Marie MacDonald, Rick Mercer, pictured at the 2015 Canadian Screen Awards, and Mark Starowicz will receive their awards in a ceremony jointly presented by ACTRA and CBC/Radio-Canada and hosted by past Drainie Award recipient Wendy Mesley. Ann-Marie MacDonald is an author, actor, playwright and broadcast journalist. She hosted the CBC documentary series Life and Times from 1996 to 2007, and currently hosts CBC’s flagship documentary program, Doc Zone. She has appeared in such films as I’ve Heard the Mermaids Singing and Better Than Chocolate. An award-winning novelist, her debut novel, Fall On Your Knees, won the Commonwealth Writers Prize and was also named an Oprah’s Book Club selection. MacDonald’s celebrated 2003 novel, The Way the Crow Flies, was partly inspired by the infamous Steven Truscott case. Other accolades include receipt of a Governor General’s Award for Literary Merit, the Floyd S. Chalmers Canadian Play Award and the Canadian Authors Association Award for her play, Goodnight Desdemona (Good Morning Juliet). Rick Mercer’s talents as a comedian, political satirist, actor and writer are cherished coast-to-coast. His tremendous success on television is celebrated with This Hour has 22 Minutes, Made in Canada, Talking to Americans and The Rick Mercer Report. Along the way, Mercer has garnered numerous Canadian Screen and Writers Guild of Canada Awards, a Governor General’s Performing Arts Award, seven Canadian Comedy Awards, the Sir Peter Ustinov Comedy Award, and the 2011 ACTRA Toronto Award of Excellence. He also holds honorary degrees from six Canadian universities. Mark Starowicz is a journalist and producer who has helped shaped radio and TV documentaries in Canada for nearly four decades. His notable achievements since joining CBC Radio in 1970 as a producer include: revamping the flagship news magazine show As It Happens into the most popular radio program on the Canadian airwaves; creating the award-winning current affairs show Sunday Morning; and on the TV side, he was a creative powerhouse behind The Journal and Canada: A People’s History. In addition to being bestwoed with multiple honorary degrees and winning numerous Canadian Screen Awards, Starowicz is also an Officer of the Order of Canada and the Order of Ontario. 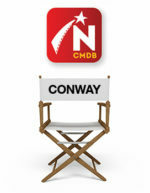 He received the Governor General’s Performing Arts Award for his lifetime contribution to Canadian broadcasting. John Drainie was described by Orson Welles as one of the greatest radio actors in the world. Created in 1968 two years after Drainie’s death, the award has been bestowed to an illustrious list of recipients who are either making a difference, have made a difference or are in the process of breaking new ground in Canadian broadcasting. Past recipients include Barbara Budd, Pierre Berton, Barbara Frum, Vicki Gabereau, Peter Gzowski, Wendy Mesley, Knowlton Nash, Len Peterson, Gordon Pinsent, Shelagh Rogers, Lister Sinclair, David Suzuki, Johnny Wayne and Frank Shuster. The ceremony, which will be the last time this prestigious ACTRA award is made, will take place in Toronto on October 5.